Marie-Charlotte was born in Quebec, Canada to the wealthy merchant Jean-Joseph Riverin and his wife, Marie-Charlotte Guillemin. 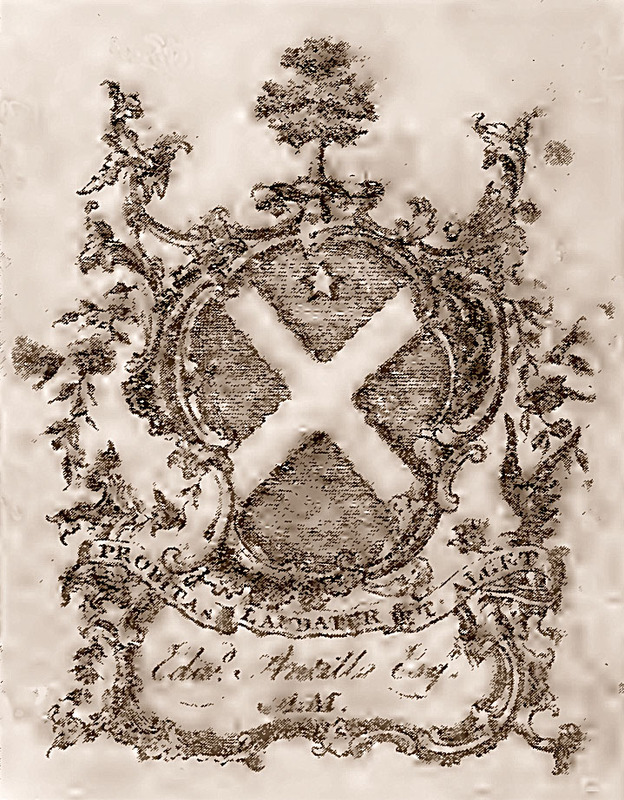 Her mother's father, Charles Guillemin (1676-1739), was another wealthy merchant, coming to Quebec in the late 1600's from Brittany, where his father was a lawyer in the parliament of Brittany. Charles was heavily involved in shipping as a ship builder, as well as fitting out ships and acting as a commission agent. Almost seventeen, Charlotte married twenty-five year old lawyer Edward Antill in 1767, and less than a year later had the first of her eleven children, Isabella Graham Antill, named for Edward's grandmother, Isabella Graham, the wife of New Jersey Colonial Governor Lewis Morris (randmother Morris had died when Edward was ten years old), or for his sister, Isabella Graham Antill, who married the Reverend Robert McKean. When Quebec City was under siege in 1775 and her husband joined the American army surrounding the city, Charlotte stayed with their family. 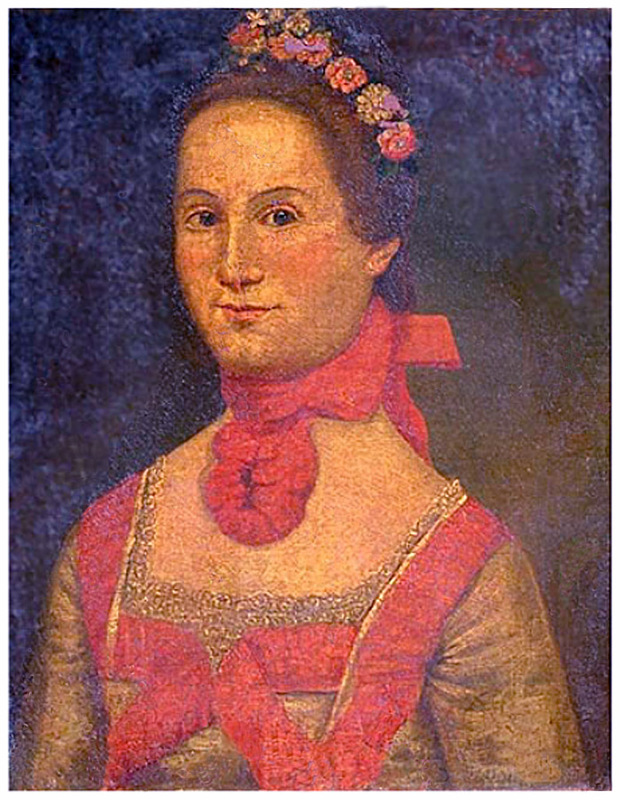 She joined her husband soon after as their next child, Amelia, was born 15 May 1777 in Lancaster PA but died December the same year, just after Charlotte had written to the President of Congress asking for permission on November 17th to join her husband, who had been captured by the British on Long Island in 1777. Their next child was born 15 Dec 1779, and named for Edward's brother John, who had gotten him released from the prison ship in which he'd been first incarcerated. John had taken the other side in the Revolutionary War, and become a Major in the British Army. Baby John lived to be almost two years old. 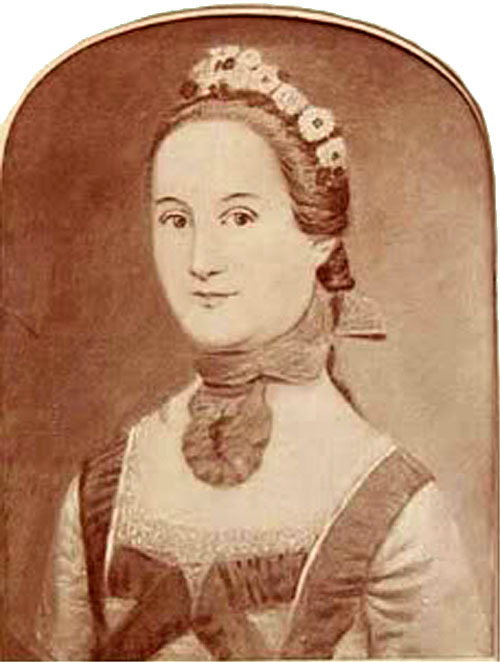 One other daughter was born on Long Island, Harriet (or Henrietta) whose godmother was Elizabeth Schuyler Hamilton, the wife of Alexander Hamilton, an officer with whom Antill served in Hazen's Brigade (Antill's son-in-law, Colonel Gerrit G. Lansing, also served with both men at the Battle of Yorktown, which resulted in the surrender of Cornwallis). No date is given for Harriet's death. After Antill was released in 1880, again by his brother John's influence, Charlotte had two more children, Louisa, who died at six months, and Frances, a third daughter who also survived to adulthood, along with Isabella and Mary. This time it was Charlotte, herself, who didn't long outlive the new baby, dying 03 Sep 1785, when the infant was four months old. She was buried in St. Paul's Churchyard. Edward left baby Frances with Elizabeth Hamilton, and returned to Canada, where his brother John had also gone when New York was liberated by the young American army. I have the honor of addressing myself to your Excellency to pray you to grant permission to me and my children to go to my husband now a prisoner of war at New York. I flatter myself that the zeal with which he hath always served the United States of America and the sacrifices which he & I have made in their cause ought to scatter all suspicion injurious to his honor, and that his Fidelity will merit for me this Favor from your Excellency & the honorable Congress. He was graduated from King's (now Columbia) College in 1762, and received the degree of A. M. in course, a fact of which he was naturally proud, sufficiently so to note it on his very neat book-plate. Having studied law he was admitted to the bar in New York, but shortly removed to Quebec, where he remained until the Revolution began. When that city was besieged by the American troops in the Fall of 1775, he refused to respond to the call of the Governor of the city to take up arms in its defense, and was sent out to the American lines, where to his delight he was at once assigned to duty as chief engineer of the army, by General Montgomery. He was with that gallant officer when he fell, and was despatched by Gen. Wooster to relate the particulars to General Schuyler and the Continental Congress. On January 22, 1776, he received a commission as Lieutenant-Colonel of Colonel Hazen's Second Canadian ("Congress Own") Regiment, and in May, 1776, General Benedict Arnold assigned him to duty as Adjutant General of the American Army in Canada. In the following December he was sent on a recruiting tour through New Jersey and the Southern States, with the approbation of General Washington (who wrote him a commendatory letter, Jan. 8, 1777), and Congress voted him $2,000 for his expenses.2 He was among the prisoners captured by the British, when Gen. Sullivan led his ill-fated expedition against Staten Island, August 22, 1777.3 For a time he was confined on one of the prison ships. Happily for him, his brother John, then in the British service, was one day sent to examine the condition of the prisoners, and the first person he saw among them was his own brother, whose release he soon effected.4 He and other American officers made a return, at Flat Bush on Long Island, August 15, 1778, of the officers and other prisoners on Long Island, for purposes of exchange.5 In August, 1779, he was still at large on Long Island, on parole.6 His exchange was effected Nov. 2, 1780. He was licensed as an attorney in New Jersey at the November Term, 1783.9 About this time (1783-4) he opened a law office in New York city, at No. 25 Water street, and later moved to No. 87 Broadway, corner of Wall street. In a letter dated "31 Golden Hill, New York City," December 16, 1785, he applied to John Jay, then Secretary for Foreign Affairs, to be appointed Translator in the Department of Foreign Affairs. Secretary Jay replied with his compliments that the office was not vacant. He then removed to Canada, joining his brother John there. He was appointed Judge of the Court of Common Pleas of Clinton County, N. Y., in 1789, but probably died before he could fill the office. 2 N.Y. Hist. Soc. Coll. 1880, 208, 218; Force's American Archives, 4th Series, IV., 189, 669; VI., 591, 1106; 5th Series, I., 654; III, 843, 1507, 1604, 1618; Penn. Archives, 2d Series, XI., 99; Spark's Washington, IV., 267. 3 Marshall's Washington, III., 136; Penn. Magazine of Hist. and Biog., III., 167; N.Y. Hist. Soc. Coll., 1883, 128. 4 Record Christ Church, 26. 5 Penn. Mag. of Hist. and Biog., XVII., 161. 6 N.Y. Hist. Soc. Coll., 1875, 241. 7 Penn. Archivess, IX., 476. Edward had been in Canada ten years when the Revolution began, and being in Quebec in the Fall of 1775, when that city was besieged by the American troops, he refused to respond to the call of the governor of the city to take up arms in its defence; and was sent out to the American lines, and gladly assigned to duty at once as chief engineer of the army, by General Montgomery. He was with that gallant officer when he fell, and was dispatched by General Wooster to relate the particulars to General Schuyler and the Continental Congress. Edward Antill to Aaron Burr. La La Chine, 5th January, 1776. I have desired Mr. Price to deliver you my pistols, which you will keep until I see you. They are relics from my father's family, and therefore I cannot give them to you. The general (Wooster) has thought proper to send me to the Congress, where I shall have an opportunity of speaking of you as you deserve. He was commissioned Lieutenant-Colonel of Colonel Hazen's regiment, and in May, 1776, was assigned by General Arnold to duty as Adjutant-General of the American army in Canada. In the following December he was sent on a recruiting tour through New Jersey and the Southern States, with the approbation of General Washington, and Congress voted him $2,000 for his expenses. John Antill joined the British, and became a Major in the New Jersey Volunteers. On one occasion Edward was taken prisoner, and was confined on a prison ship. Happily for him, John was sent to examine the prisoners, and the first person he saw was his own brother, whose release he soon affected. In 1780 John was dismissed the service for embezzlement, but four months later was restored to the command of his battalion. At the close of the war John was obliged to go to Canada, where he was living in 1796. He married (1772) Margaret, daughter of Alexander Colden, son of Lieutenant-Governor Cadwallader Colden, and after her death married her sister Jane. Born on the 11th April, 1742, at Piscataway, N.J. Died at St. Johns, Canada, in 1787. He graduated at King's College, New York, in the CLass of 1762. Was a member of a prominent family of New Jersey. 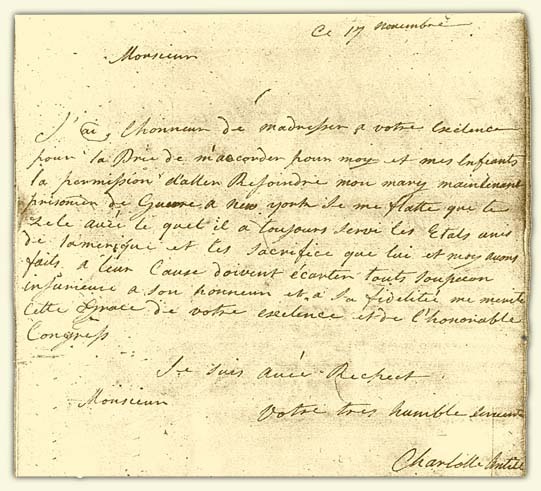 In 1766 he settled in Quebec as a lawyer, where he married Charlotte Riverin. When General Montgomery appeared before Quebec in December, 1775, he left that city, and joining him, influenced him to change his plan of attack. He became his Chief-Engineer, constructing field works of ice, where earth was inaccessible, and was present with him when he fell. When leaving the camp at Lachine on the 5th of January, five days afterwards, he wrote to Colonel Burr. 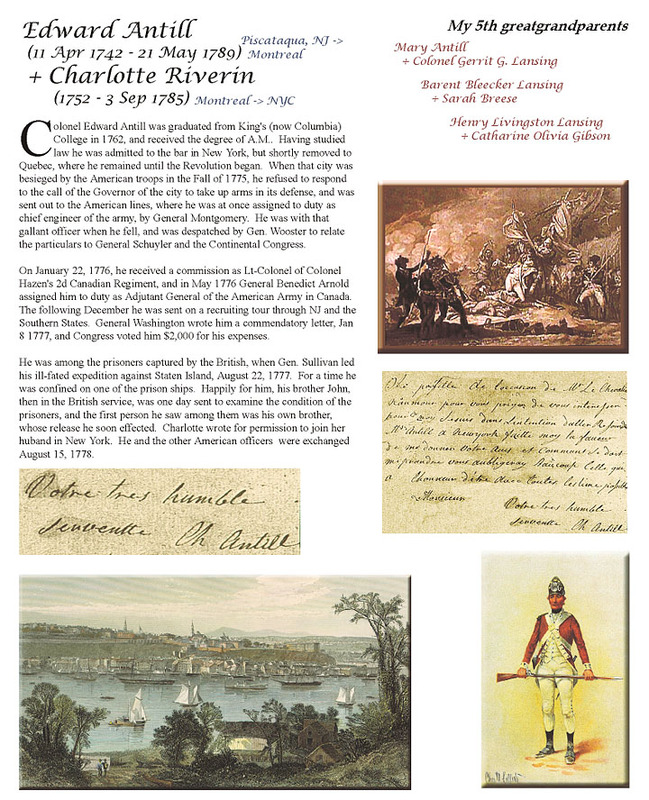 In 1776, when Congress formed the 2d Canadian Regiment mainly of exiles, Colonel Moses Hazen, a British half-pay officer in easy circumstances, residing at St. Johns, and who had already cast his fortunes with Montgomery, and followed the remainder of the American forces over the frontier, was chosen its Colonel, and Edward Antill Lieutenant-Colonel. It was even then a strong regiment - seven hundred and twenty men - but Congress appears to have valued it in ordering it to be it to be recruited in any of the States to four battalions of five companies each, with four Majors and other officers in proportion. 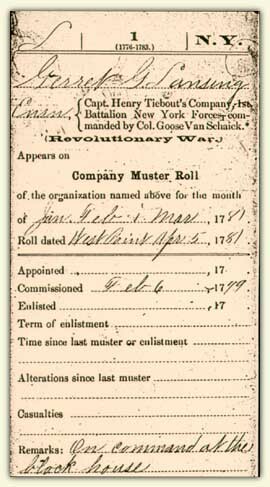 "Call upon all your officere who are upon recruiting service to exert themselves as much as possible in filling their companies and sending their recruits forward to some general place of rendezvous, that they may be armed, equipped and got into service, with as much expedition as possible. As you and Colonel Hazien had the nomination of your own officers by virtue of your commissions, I shall have no objection to any gentleman of good charscter whom you may think fit to appoint,"
On the 24th of February following, Richard Peters, Secretary of War, urges, in a letter, upon Colonel Antill, then commanding the regiment, the necessity, from impending events, of promptness in hurrying his companies forward to unite in meeting the enemy. In complying, the regiment was soon actively engaged under Sullivan, and when he attacked the rear of Howe's army on Staten Island - consisting of three thousand British and loyalists - with eight hundred men, on the 22d of June, after partial success succumbed to the vigorous resistance, he became a prisoner, thereby losing his opportunity of being present at Brandywine, Germantown, and in much important service with his regiment. 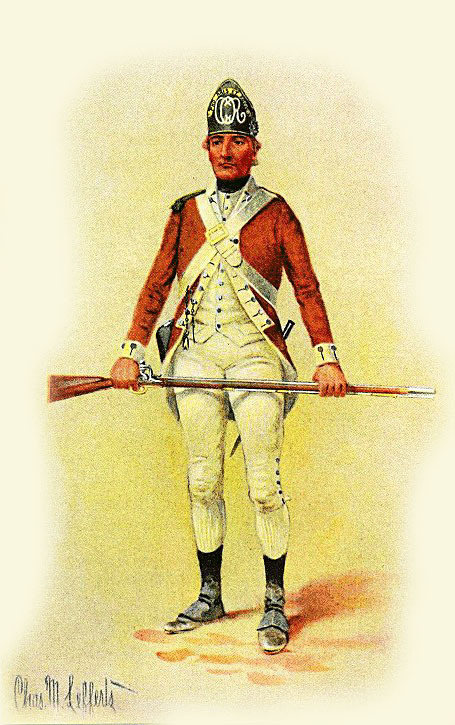 Rejoining his regiment at Flshkill, he soon afterwards assisted in beating up the quarters of Colonel James de Lancey at Morrisania, for which he earned the thanks of Washington, in general orders. In August he marched to Philadelphia, joining Colonel Olney's Rhode Islanders, and proceeding by the Chesapeake and James River to Yorktown and the surrender of Cornwallis. Although he had asked Congress to be relieved from service in an earlier period of inactivity, he continued therein until the disbanding of his regiment in November, 1783. Not found on the Half-Pay Roll, he appears on the Balloting Book of New York in the list of Canadian and Nova Scotia refugees, who had united with the Americans, to whom lands were granted by the State under the direction of its commissioners. My Dear Friend, 6 o'clock. Retired from the din of arms and a military life clothed with laurels, and the thanks of a most grateful country, all my pay and arrears of pay paid up to this day in solid gold, and a pension of half pay for Life, I now amuse myself with my Dog and my Gun. I send the bearer on a little business to General Knox, and at the same time after enquiring after the health of your good little woman, in which Mrs. Antill joins me, I beg the favor of you to fill my powder horn with the best powder you have. If the U.S. insists upon it, I will deduct it out of the Guineas I received from them when we were disbanded. Compliments to your good Family and all Friends. His wife resided in New York during the war, died there on the 3d of September, 1785, and was buried in St. Paul's Churchyard. Colonel Antill returned to his old home at St. Johns, and also died soon after. His eldest daughter, Mannette, married Colonel Garrit G. Lansing, of Albany, and his youngest, Frances, became the wife of Arthur Tappan, Esq. It will be seen by "Whiting's Revolutionary Orders of Washington" that his useful life was not free from one of those Courts of Inquiry that attend such men as venture upon authority, and that after an impartial investigation he was honorably acquitted. He subscribed his name to the Institution of the Cincinnati with the officers of his regiment on the Parchment Roll, with Washington at its head, now in the possession of the General Society. Edward Antill, (1742-89), a graduate of Columbia College, volunteered 1775, under Montgomery and was appointed chief engineer. In 1776 he was lieutenant colonel of Hazen's regiment, "Congress Own" was captured on Long Island and not exchanged until 1780. While a paroled prisoner of war at Flat Bush, Long Island, Edward Antill wrote or copied a group of scientific papers [Historical Society of PA, Group 9]. Subjects include "The principles of geology and astronomy," "elements of chronology," "elements of all the syllables within the English language," "a table of the sun's declination from 1764 to 1795," and a table showing the number of miles to each degree of longitude and latitude. He commanded Hazen's regiment at Yorktown, and served until peace was declared. He was born in Piscataqua, N. J.; died in St. Johns, Canada. Abbott does a brilliant job of examining Sullivan's raid in great detail, including Sullivan's accusations against Antill, whom Sullivan seemed to have thought defected to the enemy rather than having been captured. Well worth the long read. New-York, May 30. On Tuesday last Week our Annual Commencement was held at Trinity Church, in this City. . . . . After Prayers and a Latin Oration by the Rev. Mr. Myles Cooper, President of the College, Orations were delivered by Mr. Benson and Mr. Schuyler (Son of Col. John Schuyler, of the Jersies) in Latin, and by Mr. Livingston, (Son of Judge Livingston) and Mr. Antell in English. . . . .
After the Exercise, the President conferr'd the Degree of Bachelor of Arts upon Messrs. Lloyd, Benson, Schuyler, Grant and Livingston. And the Degree of Master of Arts, upon the Rev. Mr. Leaming, the Rev. Mr. Hanna, Mr. Antell, Mr. Cuyler and Mr. Leslie. 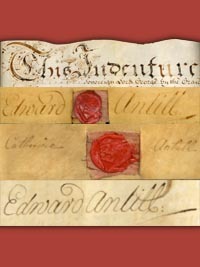 Edward Antill, born at Piscataqua, N. J., April 11, 1742, son of Edward Antill, 2d, and Anne Morris, daughter of Gov. Lewis Morris. He was graduated from King's College in 1762, and was admitted to the New York bar, but removed to Quebec; at the beginning of the Revolution he took sides with the Americans, and was commissioned as a Lieutenant Colonel, serving until 1783. He was licensed as an Attorney in New Jersey in 1783, and had an office in New York. He died at St. John, near Montreal, May 21, 1789. See "Edward Antill, a New York Merchant of the seventeeth century, and his descendants," by William Nelson, 1900. CHILDREN OF WILLIAM W. EDWARDS AND HELEN ANN MANN. Colonel Edward Antill, of New York and Charlotte Riverain, of Montreal. Lt. Colonel Antill was with General Montgomery, as his Chief Engineer, in the attack on Quebec, 1775; appointed by General Benedict Arnold Adjutant General of the American Army in Canada, 1776; was the intimate friend of General Alexander Hamilton, who became godfather, and, later, guardian to his infant daughter, Frances, afterwards the wife of Arthur Tappan. 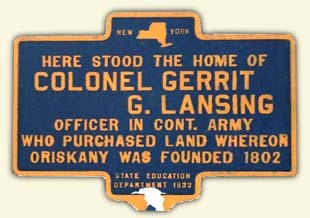 The village of Oriskany owes its origin to the enterprising pioneer and manufacturer, Col. Gerritt C. Lansing, who came here from Albany in 1802. He served with distinction in the American army during the Revolution. The following notice of him, published in 1877, is "from Bagg's Pioneers of Utica." "Born at Albany, Dec. 11, 1760, Colonel Lansing entered the army at the beginning of the war, and served until its close; was present at several important battles, and at Yorktown, under Col. Hamilton, he led the forlorn hope as lieutenant. In 1802 this gallant soldier and true gentleman of the old school settled at Oriskany, and lived there on his pension and his patrimony until his death, on the 27th of May, 1831. Both in the Army and after his removal to Oneida County, Col. Lansing was distinguished for his high integrity and his enterprise. His wife was a daughter of Col. Edward Antill, an Englishman by birth, but an officer of the Revolutionary Army high in the confidence of General Washington. After her husband's death, she lived in Utica until her own death, on the 24th of August, 1834. She possessed in an eminent degree the qualities that adorn true woman hood." This house at 109 Dexter Avenue, is located on the site of Col. Lansing's home. The original foundation, still in existence, has walls 18 inches thick. In these unpretentious graves at Grandview Cemetery in Whitesboro lie Colonel Lansing and his wife, Mary. The plaques were installed by the Oriskany chapter of the D.A.R. Beneath these twin oak trees, which once bordered the drive leading to Col. Lansing's home, the Marquis de Lafayette was received by Col. Lansing, his compansion in arms at Yorktown, on June 10, 1825. The trees, which have been gone for many years, are marked by a commemmorative placque installed by the Oriskany Chapter of the D.A.R. in 1923. "In the year 1811, the aspect of affairs with Great Britain having become serious, a number of promient gentlemen, urged by patriotic motives, were induced to start the enteerprise of manufacturing woolen goods, and thereby render their country independent of Engladn for a supply of clothing. Among them were Seth Capron, Jonas Platt, Thomas Gold, Newton Mann, Theodore Sill, Nathan Williams, William Tracy, De Witt Clinton, Ambrose Spencer, John Taylor and Stephen Van Rensselear. The Oriskany Manufacturing Company was incorporated in 1811. The buildings were erected at the village of Oriskany, near the subsequent location of the Erie Canal. Gerrit C. Lansing was named president of the company. The satinets made by this company sold readily at $4 per yard, and their broadcloths from $10 to $12 per yard but, to counterbalance these prices, for the first four years after they commenced operations they paid an average of $1.12 per pound for their wool. The machinery used consisted of eight sets of cards, with a proportionate number of spindles and looms. Over 100 hands were employed, and the manufacturers amounted to more than 100,000 yards annually. After various reverses and successes, the company finally closed business about 1856-7, after which the buildings were purchased by A. B. Buell of Utica, and transformed into a furnace. Fresh from his legal studies at Whitesboro, there came in 18xx the first of two brothers Lansing, who long were prominent in the society and business of Utica. They were sons of Colonel Gerrit G. Lansing of Oriskany, a brother of Chancellor Lansing of Albany, and a heroic participant in the scenes of the Revolution. Born at Albany, Dec 11, 1760, Colonel Lansing entered the army at the beginning of the war, and served until its close, was present at several important battles, and at Yorktown, under Colonel Hamilton, he led the forlorn hope as lieutenant. In 1802, this gallant soldier and true gentleman of the old school settled at Oriskany, and lived there on his pension and his patrimony until his death, on the 27th of May 1831. Both in the army and after his removal to Oneida county, Colonel Lansing was distinguished for his high integrity and his patriotism, as well as for his ability and his enterprise. His wife was a daughter of Colonel Edward Antill, an Englishman by birth, but an officer of the Revolutionary army, high in the confidence of General Washington. After her husband's death, she lived in Utica until her own death, on the 24th of August, 18xx. She possessed in an eminent degree the qualities that make true womanhood. Colonel Gerrit G. Lansing, an officer in the War of the Revolution, and who served gallantly in the "forlorn hope" at the battle of Yorktown, Va.,attached to Colonel Alexander Hamilton's command. Colonel Lansing married a daughter of Edward Antill, who was a granddaughter of Lewis Morris, esq., the first governor of New Jersey, at the city of Albany, N. Y., in the year 1786. Edward Anti11 was also an officer in the War of the Revolution, being the lieutenant colonel of a regiment, the origin and condition of which was different from any *other in the service, it being unattached to the quota of any State, was raised and recruited in Canada, and made up entirely of Canadians, and was known and called "Congress's Own." Colonel Lansing had by his wife, Mary Antill, three sons, Richard R., Barent B., and Edward Antill. When Lafayette visited America in 1824-25, he was greatly interested in the [Erie] canal. He got a glimpse of the eastern terminal at Albany in 1824, and the next year, toward the end of his tour, he came into the Mohawk Valley from the west, arriving at Rome on June 9. There he was waited upon by a delegation from Utica, among whom was Colonel Lansing who had fought by his side at Yorktown. He passed the night in Colonel Lansing's home at Oriskany. In the morning, after a reception at Whitesboro, a procession was formed and Lafayette was escorted to Utica. Map #54 Map of the Oriskany or Oriskary Patent, Oneida county; by G. Lansing, surveyor, June, 1785. Arthur Tappan bought from S.F.B. Morse the home of Morse's father, Reverend Jedidiah Morse. Frances (eighth daughter) [Antill], born at Brookland Heights, Long Island, the 4th May, 1785, baptized by the Rev. Theo Beach, 10 Sep 1785 -- Sponsors, Mr. and Mrs. Alexander Hamilton, and Mrs. Giles." She married, Sep 10 1810, Arthur Tappan, at the house of her sister, Mrs. [Mary] Lansing, at Oriskany, NY. She died at New Haven, CT July 21 1863. Her husband was the first President of the Anti Slavery Society. As a child residing with her godparents and guardians (the Alexander Hamiltons), Frances (born 1785) received petticoat scraps for a pincushion from Martha Washington (died 1802). TAPPAN, Arthur, educationist, was born in Northampton, Mass., May 22, 1786; son of Benjamin (1747-1831) and Sarah (Homes) 1748-1826) Tappan; grandson of the Rev. Benjamin (1720-1790) and Elizabeth (Marsh) Tappan, and of the Rev. William Homes, of Martha's Vineyard, Mass., whose father, Robert, married Mary, sister of Dr. Benjamin Franklin; great-grandson of Samuel and Abigail (Wigglesworth) Tappan, and great2-grandson of Abraham and Susanna (Taylor) Tappan, who immigrated to America from Yarmouth, England, May 10, 1637, and settled in Essex county, Mass. His father was a gold and silversmith in Northampton for twenty years, when he relinquished it to engage in the dry goods business. Arthur Tappan had four brothers: Benjamin [p.96] (1773-1857) (q.v. ); John (1781-1871), president of the American Tract society; Lewis (1788-1873) and David (Harvard, A.B., 1804, died, 1843). He attended the common schools of Northampton, and was apprenticed to a wholesale importing merchant in Boston, 1801-06. In 1806 his employers set him up in the dry goods importing business in Portland, Maine. His partner was Henry D. Sewall, son of Chief-Justice Sewall, and in 1808 they removed the business to Montreal, Canada. He was married in September, 1810, to Frances, daughter of Col. Edward Antill of the Continental army, and embarked for England to purchase goods. On the outbreak of the war of 1812, Tappan and Sewall refused to take the oath of allegiance, and were obliged to leave the province at a great financial sacrifice. In 1815 he engaged in the importing business in New York city, the firm being Arthur Tappan & Co., but in 1816 the country was so flooded with importations that he began a jobbing business, which he conducted with great success. He was elected chairman of the American Education society of New York, in 1807; was its president, 1831-33; was associated with his brother Lewis in the founding of the Journal of Commerce, Sept. 1, 1827, and was one of the founders of the American Tract society in 1828. He opposed slavery, and in 1830 paid the fine and costs necessary to liberate William Lloyd Garrison, who was confined in jail at Baltimore; supported the publication of The Liberator, and aided the establishment of the Emancipator in New York city, in March, 1833. He was one of the founders of the New England Anti-Slavery society at Boston, and was chosen first president of the New York city Anti-Slavery society, Oct. 3, 1833. He was president of the American Anti-Slavery society and gave $1000 a month for its maintenance, but in 1840 he resigned on account of the offensive attitude of several of its members toward the church and the Union. He subscribed $15,000 to Lane Theological seminary, and was instrumental in securing Dr. Lyman Beecher as first president of the institution in 1832, but he failed before his payment became due, and his brother John and other relations paid the amount. When he heard of the act of the trustees prohibiting the antislavery discussion in the institution, he presented the dissenting students with $1000 which enabled them to repair to Oberlin seminary, Ohio, in 1835. He gave a professorship and "Tappan Hall" to the college, on condition that it should be conducted on antislavery principles. On Dec. 16, 1835, his store was destroyed by fire, and was immediately rebuilt, but in May, 1837, owing to the financial panic the firm was obliged to suspend operations. In 1849 he purchased a moiety of the establishment known as the mercantile agency, with which he was connected until 1854, and resided at Belleville, N.J., but in 1854 he removed to New Haven, Conn., where he died July 23, 1865. 1. William Henry Edwards, born at Hunter, N. Y., March 15, 1822; graduated at Williams College, 1842; admitted to the Bar in New York, 1847; married, at Belleville, N. J., May 29, 1851, Catherine Colt Tappan, daughter of Arthur Tappan, formerly of New York, and Frances Antill, daughter of Colonel Edward Antill, of New York and Charlotte Riverain, of Montreal. Colonel Antill was with General Montgomery, as his Chief Engineer, in the attack on Quebec, 1775; appointed by General Benedict Arnold Adjutant General of the American Army in Canada, 1776; was the intimate friend of General Alexander Hamilton, who became godfather, and, later, guardian to his infant daughter, Frances, afterwards the wife of Arthur Tappan. Mrs. Edwards was born at New Haven, Conn., June 28, 1827; died at Coalburgh, W. Va., August 15, 1901. They had three children. Residence, Coalburgh, W. Va.